Making music that charms a warped early morning dance floor is relatively easy if you know how – doing that whilst retaining musical elegance and expertise however, is something quite different. Producer and Live artist James What appears to have mastered the two, and his Live Shows, projects with Dan Berkson and continuous stream of highly lauded releases play testament. James What laid routes in London in 1999 to study music and sound engineering, he has since gone on to make and release his solo, moniker and collaborative music on some of the industry’s most recognized labels such as Pokerflat, Crosstown Rebels, Murmur and Dessous. 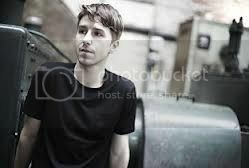 Continually progressing and evolving as an artist, James currently divides his time between an international gig schedule, solo and collaborative production and touring with Dan Berkson. James’s recent ‘About Love’ ep on Crosstown Rebels met rave reviews and regularly penetrates the ever beating depths of the scenes night life. His unique sound sits within a mix of raw classic house and the shrewd darkness of gruff minimal and techno; complimenting their counterparts and flitting effortlessly between the three. Based in London and working worldwide, James What is playing the balance game with a winning streak; stripped down, head strong dance music that effortlessly retains sensual warmth and timeless elegance.